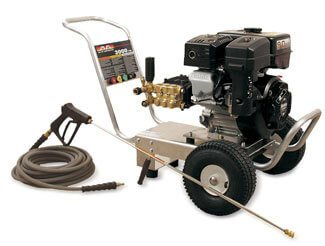 The CA series is a lightweight yet durable line of pressure washers. This unit is completely portable with a gasoline engine. Unit is mounted on an aluminum frame using a patented design with four rubber isolators for lack of movement when unit is on. Seven year warranty on AR Pump is best in the industry.